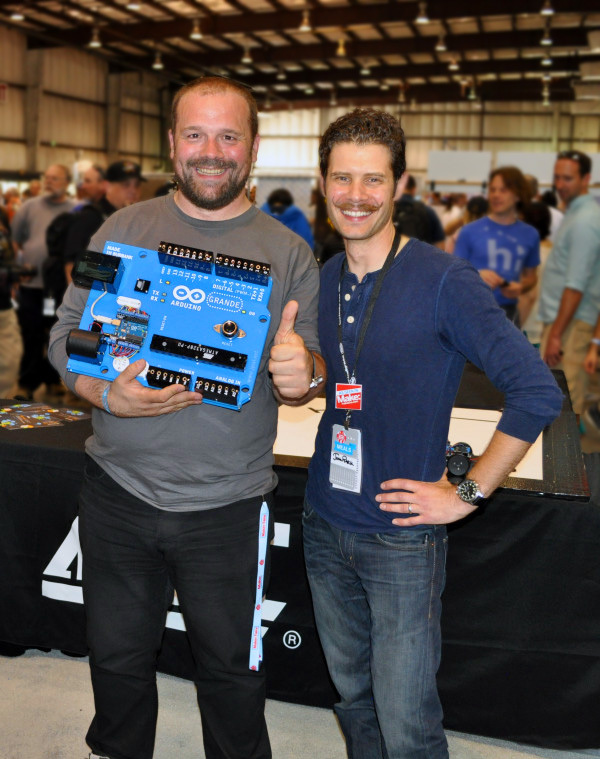 John Park retrospective: Arduino GRANDE @arduino « Adafruit Industries – Makers, hackers, artists, designers and engineers! I built the GRANDE to be fully functional — at its heart is an actual Arduino UNO rev 3 routed to all of the GRANDE’s pins, ports, LEDs, and reset button — and big enough to be able to teach people how an Arduino works while pointing at human scale parts. The real ones are just so danged tiny. 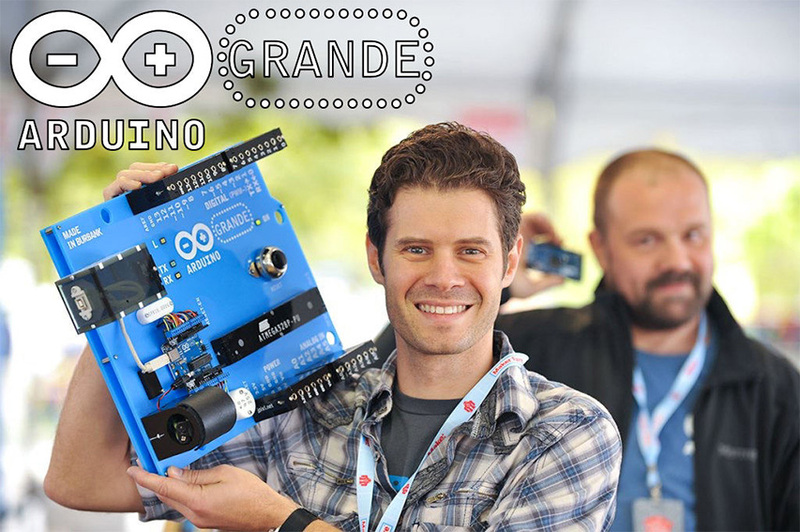 I’ve done a few talks about the making of the Arduino GRANDE, and recently posted an Instructable about it so you may build your own. I’d truly love to see someone make a GRANDE compatible shield. 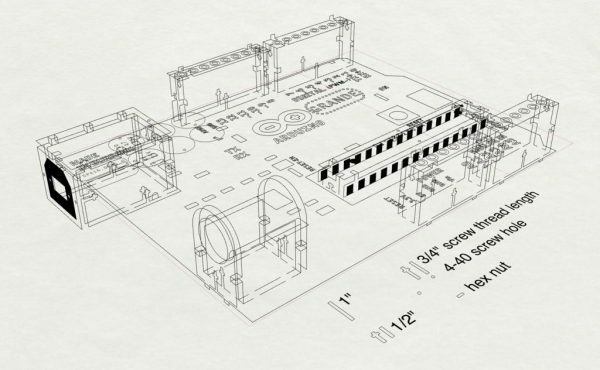 Can you provide the dimensions? I’d like to design an enclosure for it.